Forms for cheese firm to 3 kg. Manchego type. Forms for production of soft cheese like "Cheddar", "Suluguni". Mass of ready cheese 0.25, 0.5, 1.0 of kg (round and squared). 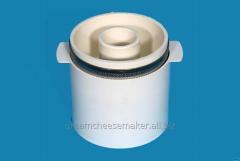 Round (mass of cheese of 0,25 kg): the internal sizes d – 89 mm, h - 44 mm. 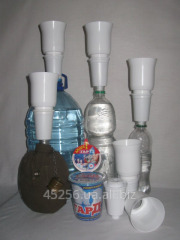 Price: 35,00 UAH. Forms for cheese round on 3-4 kg like "Gouda". Form with a grid for cheese a sphere weighing up to 0.5 kg like Edam, "Kolobok". Form for cheese in the form of a sphere weighing up to 0.5 kg like "Edam", "Kolobok". Form with a grid for cheese of the firm Gouda type weighing up to 0.5 kg, "Baby Gauda". Form for soft cheese from 0.3 kg like "Camembert", "Saint pestilence de Touraine", etc. Form for cheese round to 5 kg like "Gouda". 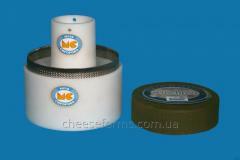 Form for cheese firm cylindrical to 3 kg. type "Estonian", "Sausage". 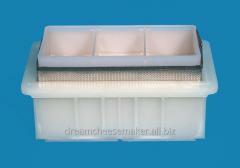 Forms for soft cheese of rectangular 0.5 kg like "Cheddar", "Suluguni". 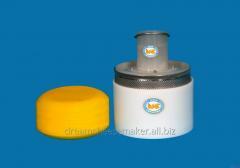 Form for cheese of the rounded-off cylindrical form weighing up to 1.0 kg. The Plastar firm founded in 1999 as the enterprise which specializes in production of a technological polymeric container and cheese forms. Today our firm is one of the most dynamic and progressive enterprises of Ukraine in the sphere of production of a technological container and cheese forms from polymeric materials. Continuous updating of park of the high-tech equipment of the leading global manufacturers, high qualification of personnel, allow us to be on the advanced positions in the field in Ukraine. Use of high-quality polymers, dyes and various additives gives us the chance to develop a technological container of the European level which meets the requirements of the customer and at the same time satisfies environmental, sanitary and other standards. Consumers of production "Plastar" - the powerful enterprises of Ukraine in the sphere of production of cheeses like "Cheddar", "Russian", "Dutch", "Camembert" and so forth. We invite to cooperation of all whom production of Plastar firm who appreciates the relations which are based on partnership, transparency, on mutual respect and understanding interested. 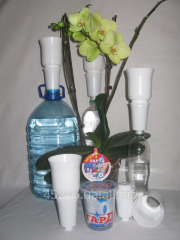 A complete range of products and services Shapovalov S.O., FOP. All information about Shapovalov S.O., FOP in Lvov (Ukraine).